Vagus Nerve Stimulation is a new and exciting treatment for medical and psychiatric conditions. The vagus nerve is the longest cranial nerve, wandering from the brainstem to the organs. Stimulating the vagus nerve shuts off inflammatory activity within the cells of the organs and brain, which helps with immunity and overall function of the body. The ta-VNS is a non-invasive form of VNS where the outer ear is stimulated on a specific area of skin that’s innervated by the vagus nerve. Gentle stimulation of that skin has been found to produce similar brain activation as a surgical implant (Kraus 2007, Dietrich 2008). This drug-free procedure is non-invasive and pain free and can provide relief for many conditions. 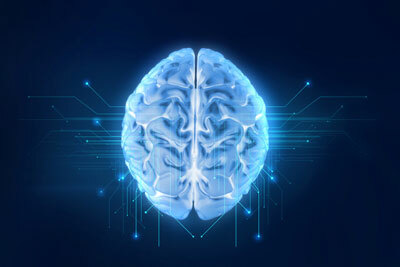 Transcutaneous Vagus Nerve Stimulation increases the function in the way parts of the brain connect and communicate. The stimulation decreases heart rate, blood pressure and inflammation, and increases the secretion of anti-stress hormones such as acetycholine, prolactin, vasopression, oxytocin and growth hormone. It improves heart rate variability and stimulates serotonin and dopamine production. Our Vagus Nerve Stimulation treatment was featured on Housecall, on CTV Atlantic news! Kinesis Health Associates is currently the only clinic in Nova Scotia offering this non-invasive service. Discover the benefits of ta-VNS yourself by scheduling a free 15-minute no obligation consultation.